Have you noticed that when you have a long period of time to explore a place thoroughly, you don’t? It’s easy to live somewhere for a year and never get around to seeing some of the major sites. Please tell me I’m not alone here! When there’s no deadline, there’s no urgency to explore a city’s attractions. If you can go any day… why go today? Life gets in the way, and routine takes over. So on this note, I’m going to share with you some famous Paris attractions that I have never, ever visited, even after two years in France. Don’t judge me. 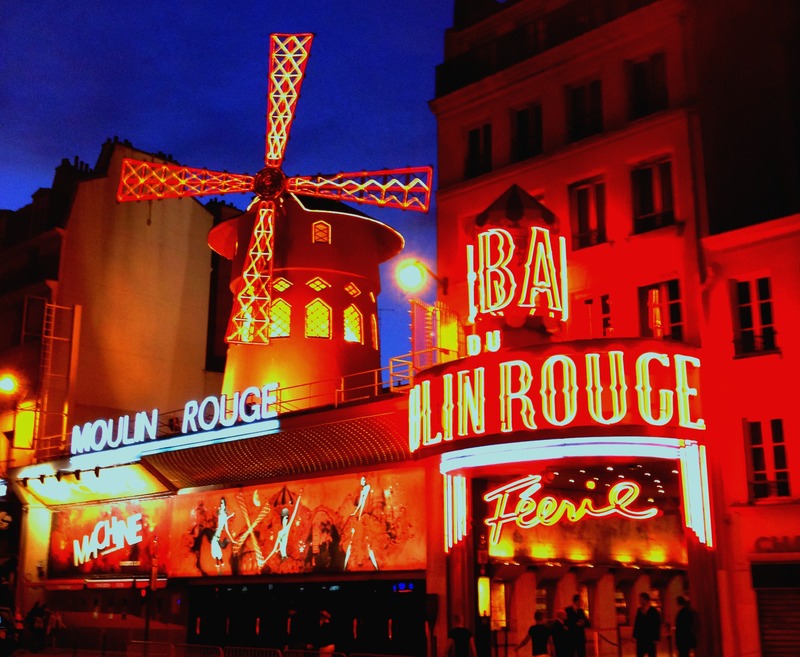 How many Parisians have actually been to the Moulin Rouge? Seriously, I want to know. Is it like, something everyone does once? Is it only for tourists? Do they have regulars? Do they have a Nicole Kidman doppelganger? 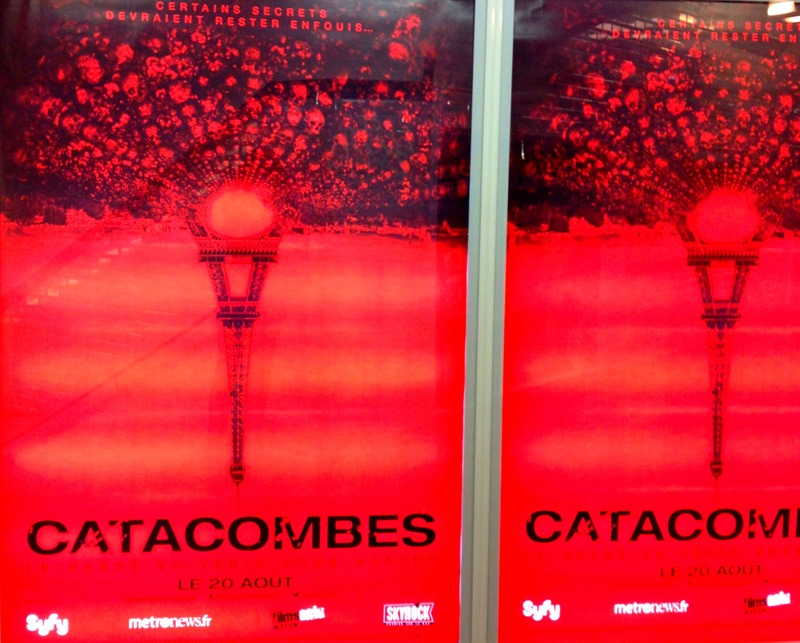 I hear the Catacombs are really, really cool. Can someone explain this one to me? What is down there besides a lot of bones in a damp subterranean tunnel? I’ve been to the chateau. I’ve been to the canal around back (yesterday!) but I haven’t been in those gated gardens. I’d like to go one day, but after all the chateau-ing we did in the Loire, I’m a little burned out on manicured hedges right now. 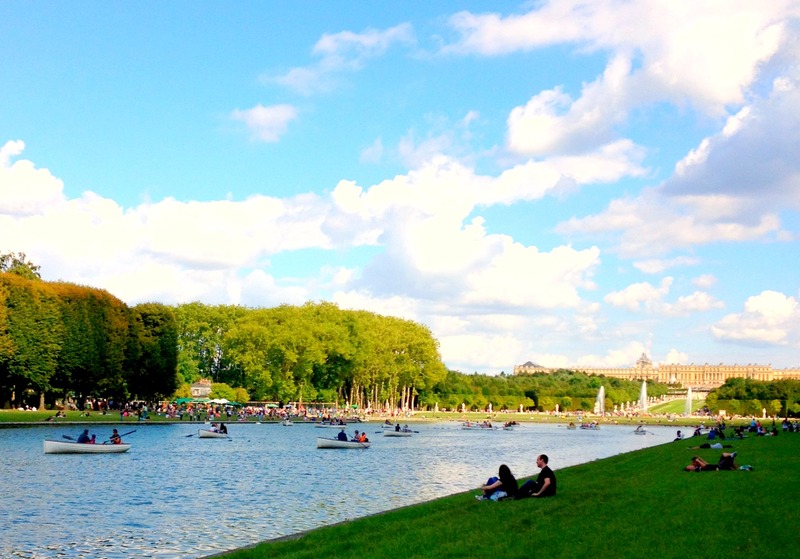 Remind me to show you the gardens of Villandry… and you can tell me if Versailles tops them! 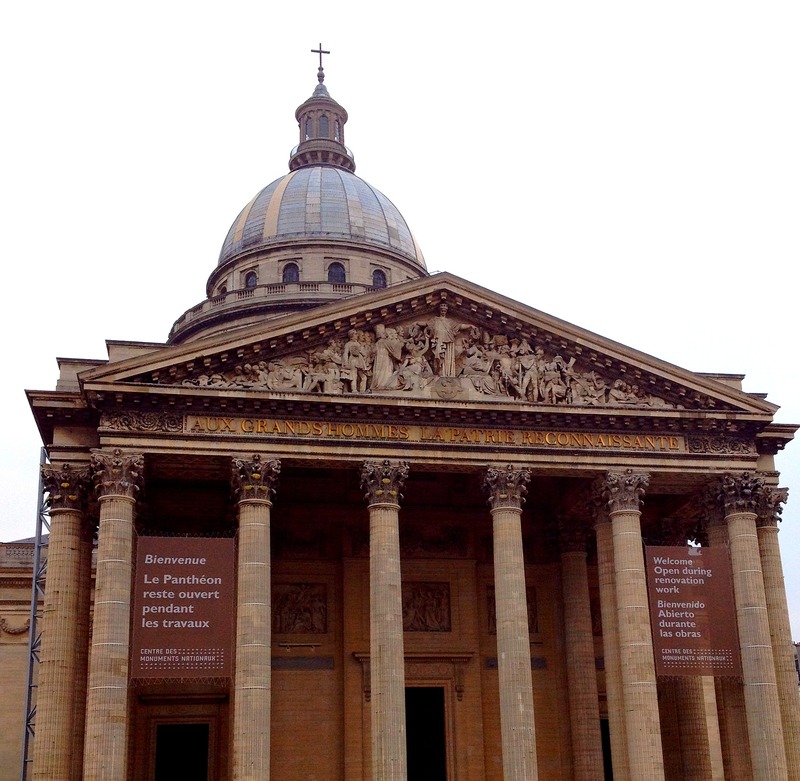 I routinely forget about the Pantheon. What am I missing out on? 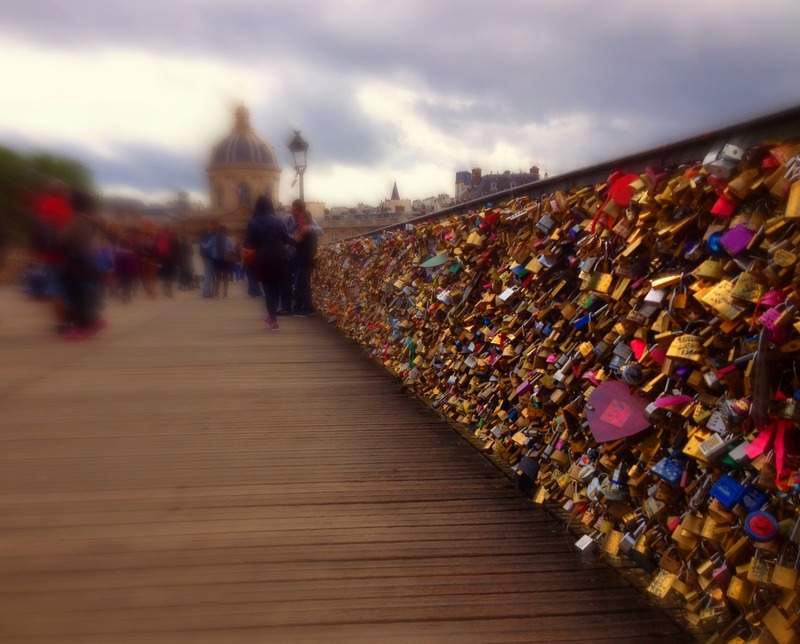 I’ve also never put a love lock on a bridge. But you’re not supposed to do that anyway. The truth is that Paris is a city with endless possibilities, and I don’t think one person could experience everything it has to offer in a lifetime. So many museums, so many famous patisseries, so many restaurants where Hemingway drank tea kahlua whiskey? (What did Hemingway drink?) But I’m slowly chipping away at Paris, little by little. And if I move back one day? Who knows, maybe I’ll finally make it up the Eiffel Tower. Have you visited any of these? What did you think? Next The préfecture: the end? I totally know what you means about not exploring the city you live in! I have been to all of the sites except the catacombs. We tried to go their past time, but it was closed early (damn those jours fériés!) I haven’t been in the moulin rouge, but I’ve seen it from the outside. It’s on my list! You’re a much better French explorer than I am! Did you have a favorite? I just love sipping cafés in Paris! And reading a book in the parks! And riding my bike thru the city! I avoid the tourist attractions in favor of wandering walks of off-beat discovery. I do carry a map so I don’t get hopelessly list. The wandering has given me far more pleasurable jaunts in every city than a guidebook of “must see’s”. 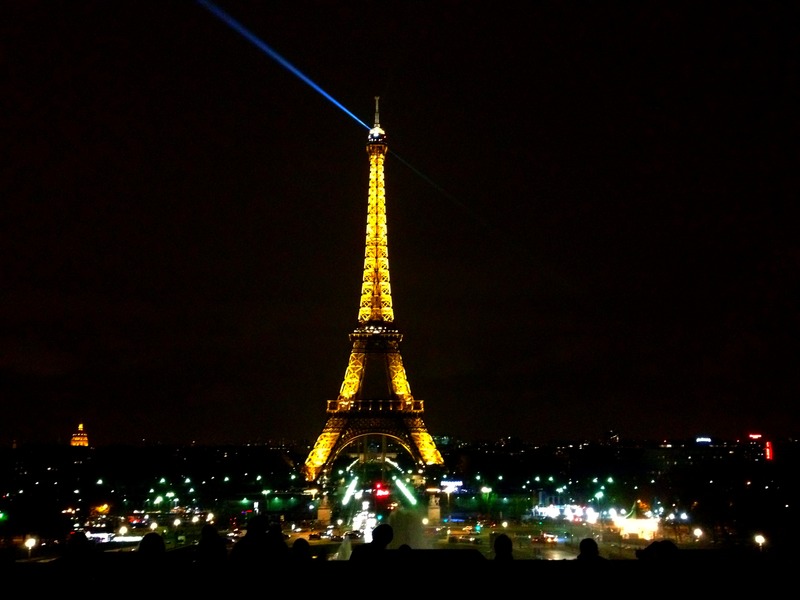 I do enjoy seeing Paris and other French cities through your eyes and your writing. Thanks Sammy! You can expect to see more about Lyon in the near future. I like your method of exploring a new city. I agree, it’s so nice to discover unexpected sights by wandering.